From statisticsviews.com: Trevor Hastie is one of the world's leading statisticians best known for his contributions in the area of applied statistics, including machine learning, data mining, and bioinformatics. His main research concerns statistical learning and data mining, statistical computing and bioinformatics. He has made numerous contributions to these disciplines, many with longtime collaborator Robert Tibshirani and also with John Chambers. His many books include the bestsellers, The Elements of Statistical Learning with Robert Tibshirani and Jerome Friedman and Statistical Models in S with John Chambers. 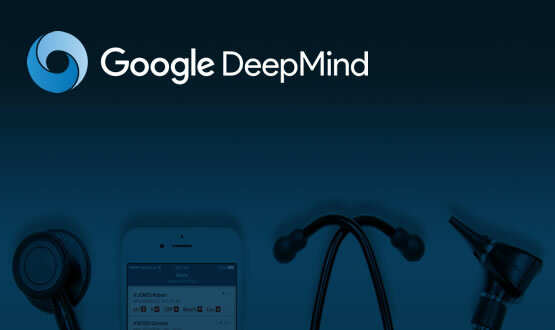 From deepmind.com: : Today, a panel of Independent Reviewers has published its first annual report into DeepMind Health. As I wrote in the foreword to their report (written, I add, before I’d read it): “We chose people who had specific expertise but also reputations for integrity, who did not hold back, who could be angry and critical… That’s good for us and makes us better.” The panel is made up of experts in their fields who were given full access to our work to carry out their review - a very unusual process for a tech company, but one that we hope will significantly increase scrutiny of our work and ultimately help us get it right. We are grateful for their and honesty, thoughtfulness, and the time they have spent on this complex task. You can read their full report here. From MIT Tech review: : A machine that can fetch a drink of water and open doors has made one paralyzed man’s life a little easier. Romulo Camargo is a U.S. Army veteran who was paralyzed below the neck during an ambush in Afghanistan. Unable to perform everyday tasks for himself, he’s recently received a little help from a robot. As The Verge notes, Toyota’s Human Support Robot has already been tested in hospitals in Japan, where the company plans to build and sell machines to help care for an aging population. But Camargo is the first person in North America to have one of the firm’s devices roam about his private home, which is a challenging environment for a robot tasked with handling everyday objects. From BBC: The huge British Airways IT systems failure caused extraordinary disruption. What lies behind it and what might be done to ensure it does not happen again in the future? Click talks to the tech expert, Roland Moore-Colyer. From BBC: The meaning of the face: How critical is it to our sense of identity, and relationship with others? Sharrona Pearl, Assistant Professor in Communications at the University of Pennsylvania, discusses her study of face transplant surgery. She's joined by Anne-Marie Martindale, Post-Doctoral Research Associate at the University of Manchester, who has studied the impact of facial disfigurement; as well as Professor Jonathan Cole, consultant in clinical neurophysiology, and author of two books examining the relationship between facial expressions, communication and the self. 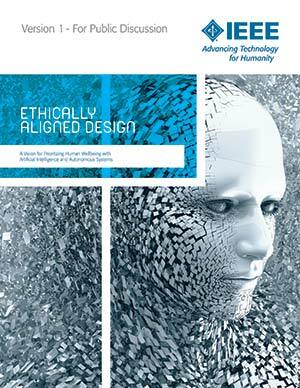 From IEEE [pdf] : The IEEE Global Initiative for Ethical Considerations in Artificial Intelligence and Autonomous Systems released the first version of its document, Ethically Aligned Design (EAD). The document provides insights and recommendations from over one hundred global AI and ethics experts and is intended to provide a key reference for Artificial Intelligence and Autonomous Systems (AI/AS) technologists to help them prioritize values-driven, ethically aligned design in their work. From Bloomberg : If you have young kids, you may already know the mobile game Talking Tom. What you might not know is that in January a Chinese hydrogen peroxide company announced plans to buy the maker of the app for $1 billion. This is just one of several similar deals. This week, Bloomberg Technology's Adam Satariano and Aki Ito take a look at why a slew of unlikely Chinese buyers - mining and construction firms, even a poultry company - are buying up mobile gaming businesses. This search takes Adam to the home of Lisa Pan, a young Beijing investor who has made millions from gaming investments and is now helping a Chinese chemicals company make the same leap. Is this a smart business strategy to adapt to a new economy, or is it a sign of a bubble? From University of Oxford: : Professor Zoubin Ghahramani gives a talk on probabilistic modelling from it's foundations to current areas of research at the frontiers of machine learning. Probabilistic modelling provides a mathematical framework for understanding what learning is, and has therefore emerged as one of the principal approaches for designing computer algorithms that learn from data acquired through experience. Professor Ghahramani will review the foundations of this field, from basics to Bayesian nonparametric models and scalable inference. He will then highlight some current areas of research at the frontiers of machine learning, leading up to topics such as probabilistic programming, Bayesian optimisation, the rational allocation of computational resources, and the Automatic Statistician. From Bloomberg : "The David Rubenstein Show: Peer-to-Peer Conversations" explores successful leadership through the personal and professional choices of the most influential people in business. Renowned financier and philanthropist David Rubenstein travels the country talking to leaders to uncover their stories and their path to success. The fifth episode of season two features former CIA director David Petraeus. From New Scientist : A fluid-filled plastic bag can help extremely premature lambs to develop and grow - and will be used to support premature babies in three years’ time.